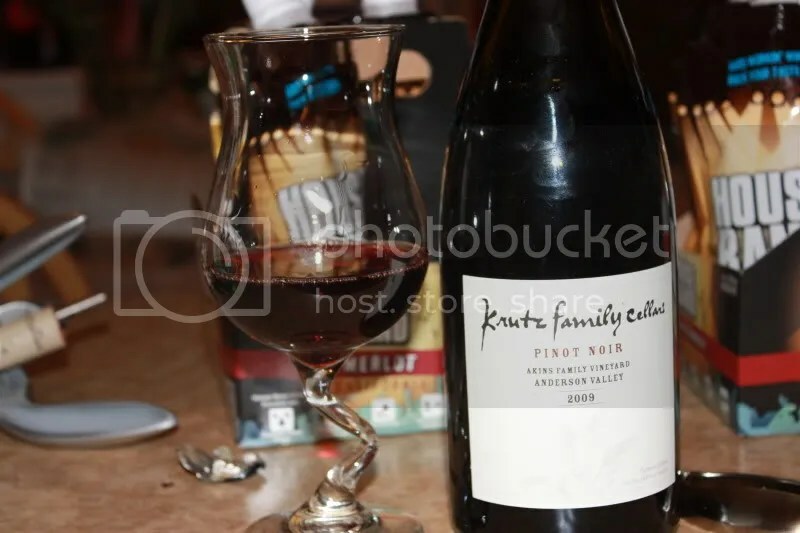 Krutz Family Winery was one of those wineries I was lucky to discover through the Taste Live events. 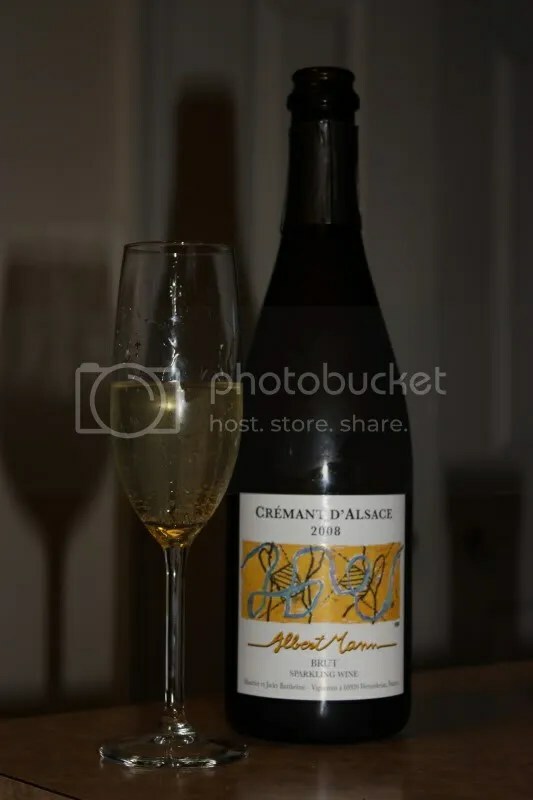 In case you are new here, Taste Lives are these lovely online tastings where you get to drink the same wine as a bunch of other wine bloggers across the country and talk about it with the winemakers are the same time. How fabulous is that? 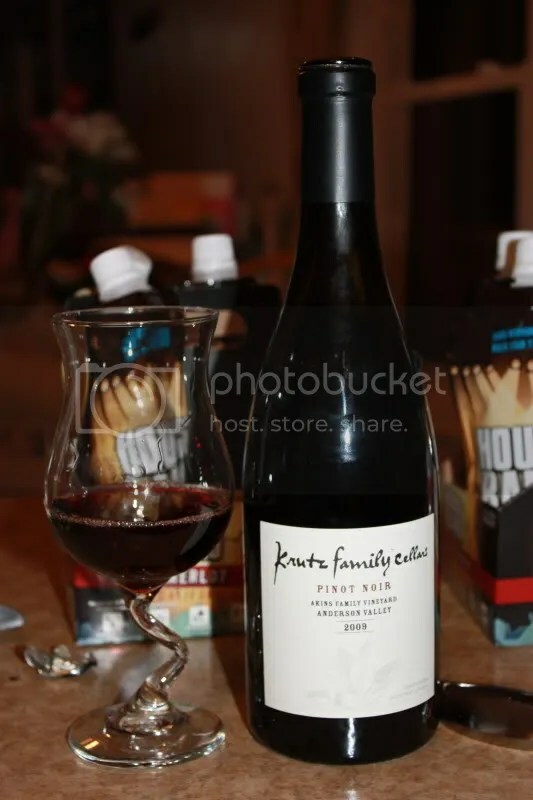 This evening we tasted the 2009 Krutz Family Akins Vineyard Pinot Noir. It has a real cork closure, clocks in at 14.8% alcohol by volume, and retails for $38. 1.) If you haven’t delved into Anderson Valley Pinot Noirs, you are completely missing out. 2.) I’m a sucker for Russian River Valley and Anderson Valley Pinots. 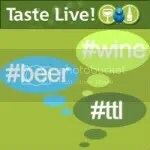 Hoping I will be the same for all the Willamette Valley Pinots I will taste at the Wine Blogger Conference next month! 3.) I served this with grilled salmon. Perfection. 4.) I found the nose to be a bit reserved, but the palate had it all going on. On those nose I found black cherry, raspberry, spice, cream, pepper, and dusty chocolate. In the mouth I got black cherry, pepper, dark fruit, spice, raspberry, smoke, and chocolate. The wine had great acidity and nice tannins on the loooooong finish. Overall I found this to be a “big” Pinot, but I loved it all the same. 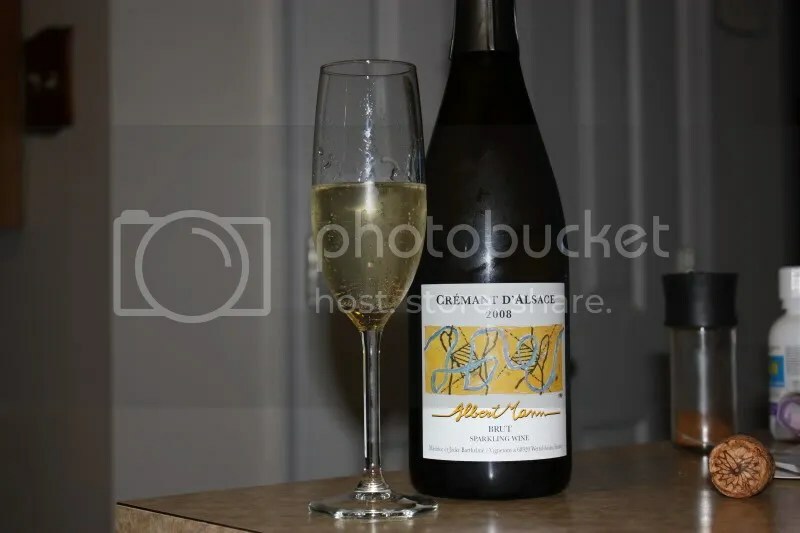 *Disclaimer: I received this wine as a sample to participate in a Taste Live event. Archery Summit was a new winery for me when I attended a Taste Live event a couple weeks ago. Of course, most Oregon wineries are new to me, which is yet another reason I’m excited to attend the Wine Blogger Conference in Portland next month. Not to mention the Pinot. Oh, the Pinot. I was happy to get a preview of more Pinot to come through the 3 wines from Archery Summit at the tasting. 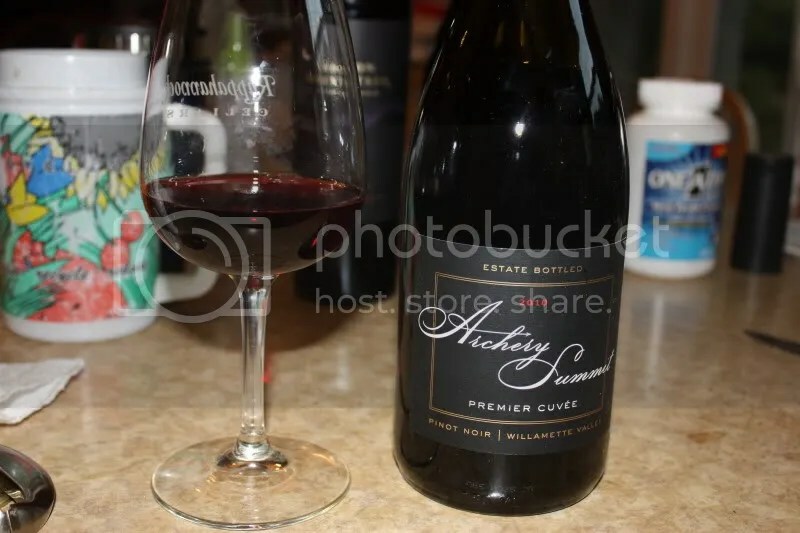 Up 3rd (I think ) we had the 2010 Archery Summit Premier Cuvee. It has a real cork closure, clocks in at 13.5% alcohol by volume, and retails for $48. 1.) We drank this with grilled rainbow trout. It was awesome. 2.) The wine had so much going on both on the nose and in the palate. Lots of bang for the buck here. 3.) Pinot is one of those wines where I really think you get what you pay for. 4.) On the second night, this wine drank even better than the first night, which is saying a lot, since it was excellent on night one. On the nose I got cedar, smoke, wood, chocolate, flowers, meat, espresso, spice, pepper, and baking spice. In the mouth I got cherry, black cherry, black raspberry, pepper, crushed violets, and blackberry. Overall the wine had excellent acidity, presented fresh fruit flavors, and showed good tannins on the finish. 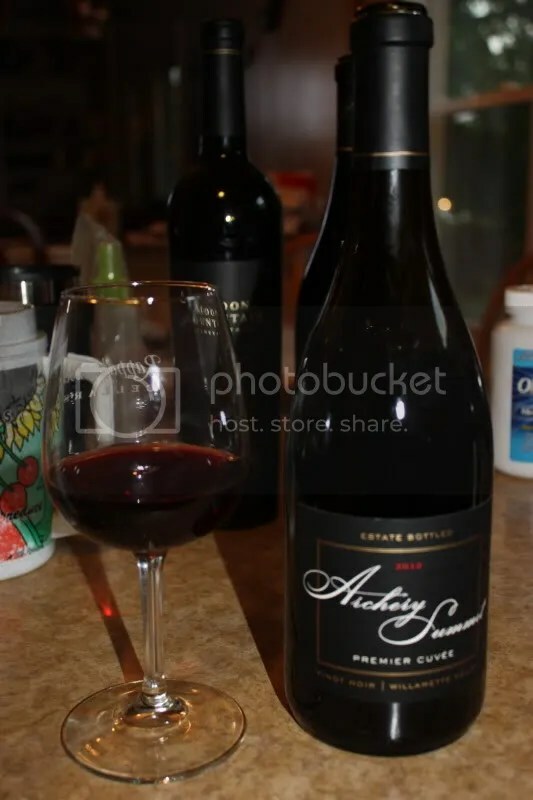 Filed under: Oregon, Pinot Noir, Red, Wine |	Comments Off on Cuvee Me! 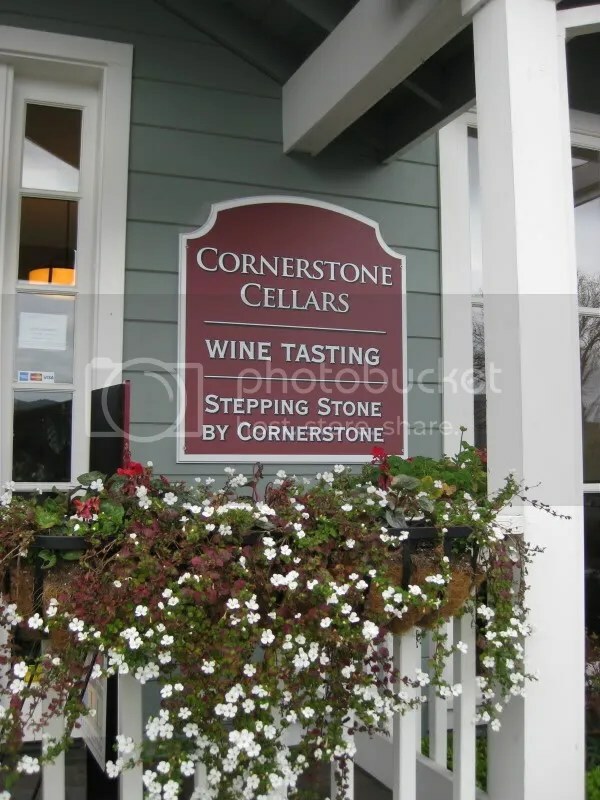 Cornerstone Cellars, that is! The other part of our scheduled day with Thea in Napa was of course to visit our old friend Craig at Cornerstone Cellars. I visited Cornerstone Cellars shortly after they first opened their tasting room in Yountville, but Matt had never been there before. Thea and I had to remedy that! Several things have changed since my last visit, among them, the tasting room is no longer under construction and if you wander about a block down from the tasting room, you find a demonstration vineyard row planted by Cornerstone Cellars just hanging out on the side of the sidewalk in Yountville! We tasted through everything Cornerstone had available at the time, though the week after our visit they were bottling all the 2010s! 2010 Sauvignon Blanc: grassy, lemon, tart, lemon pith, tropical notes, acidity, lemon grass, peach. 2009 Stepping Stone Cabernet Franc: black cherry, strawberry, raspberry, herbs, mineral streak, nice lean fruit, good acidity, peppery, slight hint of extremely dark chocolate. 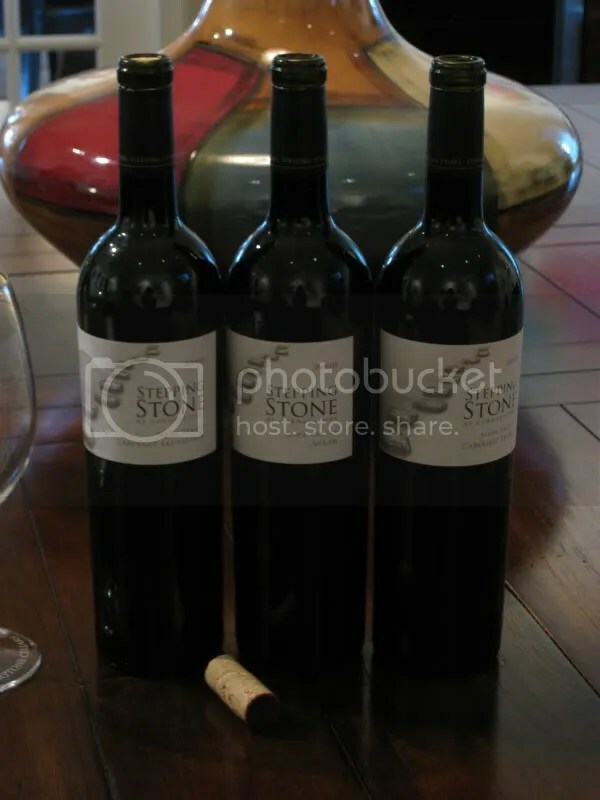 2009 Stepping Stone Cabernet Sauvignon: black currants, black fruit, spice, pepper, black cherry, black raspberry, tannins on the finish. 2009 Stepping Stone Syrah: very peppery, black plum, black fruit, charred meat, bacon fat, meat, pepper, spice. 2008 Napa Valley Cabernet Sauvignon: big fruit, raisins, big, bold, jam, dark fruit, in your face. 2009 Napa Valley Cabernet Sauvignon: herbs, spice, lavender, dark chocolate, anise, nice secondary notes, black cherry, chocolate milk, juicy. 2009 The Cornerstone: (Cabernet Sauvignon, Merlot, Cabernet Franc blend) spice, pepper, chocolate, espresso, herbs, cardamom, nice acidity, cherry, blackberry, black raspberry. 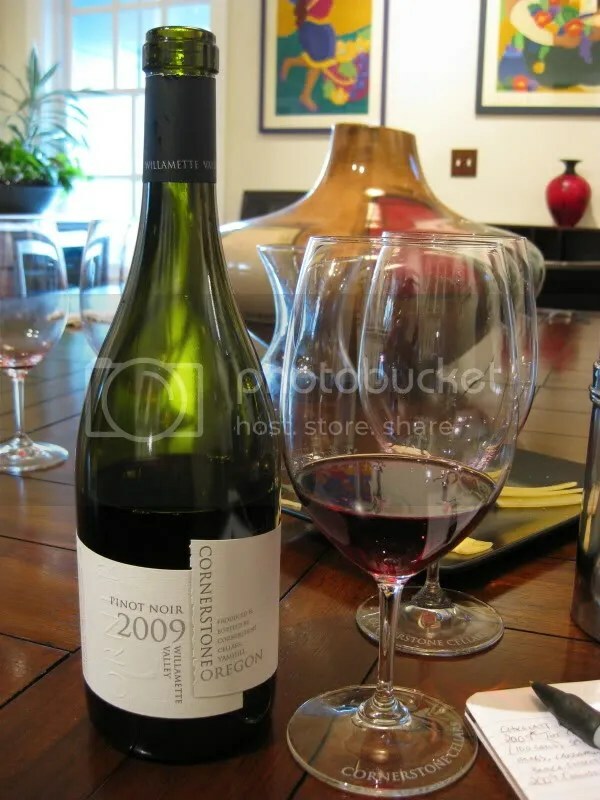 2009 Willamette Valley Pinot Noir: perfumey, violets, spice, pepper, tight, red fruit, raspberry, good acidity, deeper fruit on the palate, fresh spun caramel, strawberry, orange zest, tons of potential in this wine. I love visiting with Craig. He’s a really great guy. If you haven’t had a chance to meet him, be sure to stop by the Cornerstone Cellars tasting room. They also have a fantastic line up of wine. My top three were the 2009 Napa Valley Cabernet Sauvignon, the 2009 Willamette Valley Pinot Noir, and the 2009 The Cornerstone. Though it was hard to pick my favorites!